The lego4scrum training method is undergoing ICAgile certification. 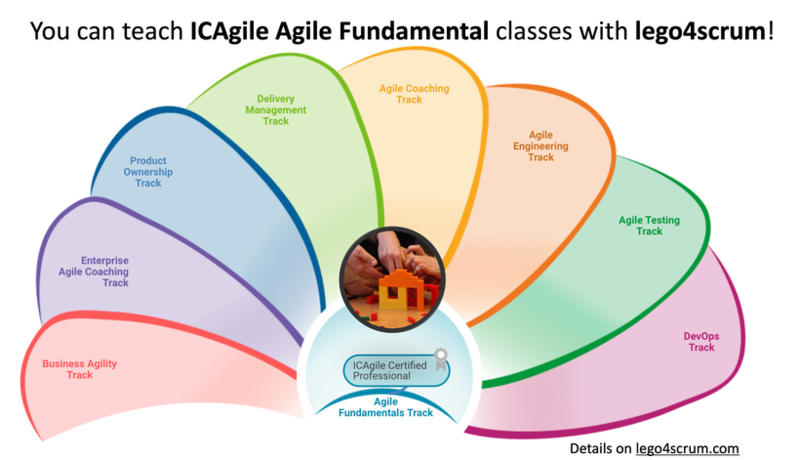 So anyone teaching Agile and Scrum with #lego4scrum would be able to issue ICAgile Certified Professional (ICP) certificates to the students. Cool, huh? Interested? Send us an email: info@lego4scrum.com. This work is distributed under a Creative Commons Attribution 3.0 Unported License. So please mention the author and this website when using this work. That's all we're asking for. Lego Scrum Simulation by Alexey Krivitsky is licensed under a Creative Commons Attribution 3.0 Unported License.